Senate Judiciary Committee Chairman Chuck Grassley is shining a light on intelligence memos passed on to then-Secretary of State Hillary Clinton by Sidney Blumenthal. Why didn't Blumenthal register as a foreign agent? The head of the Senate Judiciary Committee has turned the tables, yet again, on Democrats going after President Trump&apos;s associates over foreign ties by reintroducing a key player from the Clinton email scandal and questioning whether he made similar missteps. Chairman Chuck Grassley, R-Iowa, raised the case of Clinton confidant Sidney Blumenthal in hearings this week. He asked why Blumenthal did not register as a foreign agent while working as an “off-the-books” intelligence resource for then-Secretary of State Hillary Clinton, while simultaneously working on behalf of a foreign entity—a political party in the country of Georgia. “If the Justice Department thought Mr. Blumenthal’s activities on behalf of foreign interests did not require registration under the law, it should say so,” Grassley said. Blumenthal, who served as a senior adviser to former President Bill Clinton between 1997 and 2001, reportedly was prohibited by the Obama administration from taking a job with Clinton’s State Department. Blumenthal, instead, sent Clinton guidance on sensitive diplomatic matters, most notably intelligence information about Libya around the time of the 2012 attack in Benghazi that killed four Americans. 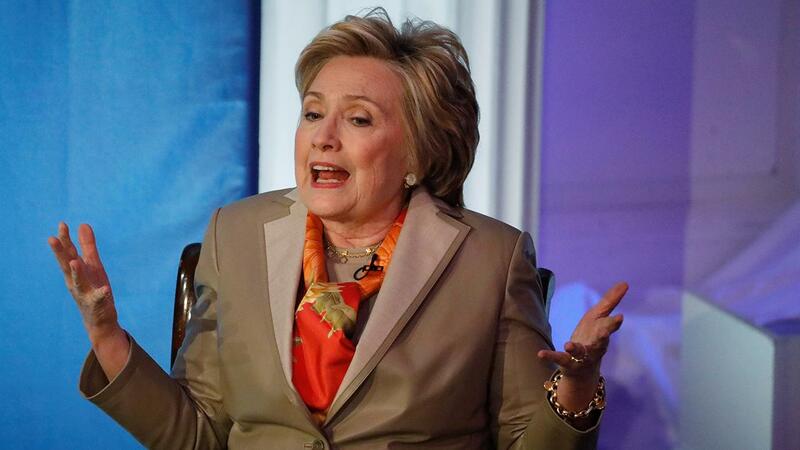 Those memos emerged as part of the release of documents from Clinton&apos;s private email system. But Grassley raised concerns during hearings Wednesday and Thursday regarding enforcement of the Foreign Agent Registration Act. Grassley suggested Trump associates -- like former campaign chairman Paul Manafort and former national security adviser Michael Flynn -- faced a double standard, considering both had to retroactively register as foreign agents. Blumenthal did not. FARA requires individuals to register with the Justice Department if they act, even through an intermediary, “as an agent, representative, employee or servant” or “in any other capacity” at the behest of a foreign actor to engage with a U.S. official. Grassley said that the Justice Department never explained why it did not require Blumenthal and his partner, John Kornblum, to register under FARA. The Justice Department did not respond to Fox News’ request for comment on why Blumenthal was not required to register. Grassley said if Blumenthal did the “right thing by not registering,” the Department should explain why. Blumenthal was a leading figure in the early days of the Clinton email scandal. His AOL account was hacked by the Romanian hacker “Guccifer” in 2013, revealing he was communicating with Clinton on a domain discovered as Clinton’s private email server, ultimately setting off the chain of events to follow Clinton for the next four years. A source close to the Judiciary Committee told Fox News there are not plans to bring Blumenthal before the committee at this time. Blumenthal did not respond to Fox News’ request for comment. Grassley also has raised questions over other Democrat-linked FARA concerns—including whether the Justice Department was investigating Alexandra Chalupa, a Ukrainian-American DNC consultant who allegedly had meetings at the Ukrainian Embassy in Washington, D.C., to discuss incriminating information about Trump campaign officials. Grassley wrote a letter this week to Deputy Attorney General Rod Rosenstein over “deficient enforcement” of FARA and asked why the Justice Department did not require Chalupa to register. “Chalupa’s actions appear to show that she was simultaneously working on behalf of a foreign government, Ukraine, and on behalf of the DNC and Clinton campaign, in an effort to influence not only the U.S. voting population but U.S. government officials,” Grassley wrote to Rosenstein this week, claiming that if that were the case, Chalupa would have been required to register under FARA. EDITOR’S NOTE: A week after the publication of this article, Blumenthal sent a letter to Grassley disputing his hearing comments and accusing him of ‘lying’ about his supposed work with a foreign political party.